Fall=Pepper season! 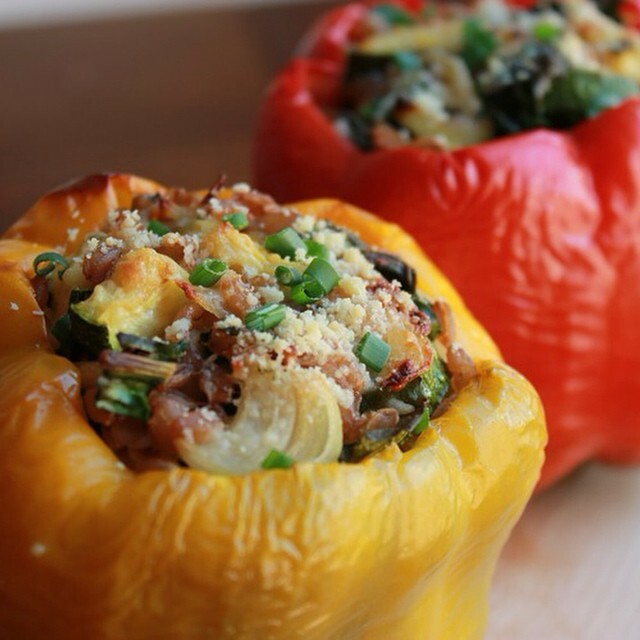 Farro & Veggie Stuffed Peppers. So. Freakin. Yum.